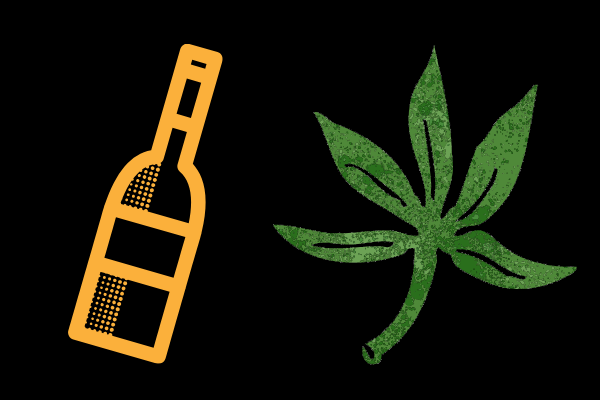 Have you ever wondered who brings in the bacon on holidays when it comes to alcohol vs. weed? If so you’re not alone. Others out there have wondered the same thing. In a first ever of its kind Headset and Nielsen released a cannabis report that took a look at weed versus alcohol sales when it comes to holidays. Now you may have your headset that alcohol is going to be the winner here but that might not be the case. For example, April 20th is known as 420 throughout the cannabis community. On this day cannabis sales spike and double what they normally are as stoners and patients celebrate worldwide. Nielsen along with their partners’ Headset has released a report titled “420 The Greenest Day Of The Year: Insights And Predictions Based On Four Years Of Data.” This report shows that the April 20th holiday offers the largest single-day sales for cannabis year after year. Aside from this holiday, the only other trend in cannabis sales spikes is on the weekend. This is when dispensaries typically offer their best deals. This year 4/20 falls on a Saturday meaning dispensaries could get hit three times this hard. They get the extra volume from weekend sales plus the double volume of sales associated with 4/20. The report goes on to also show that alcohol sales show an increase on holidays like the 4th of July, St Patrick’s day, Valentine’s day, and New Year Eve. One holiday where alcohol sales show no significant increase is 420. This might even be one of those days that alcohol sales don’t prevail. With cannabis legal in Canada and more states saying yes to legal cannabis markets, this trend may start to change over the next few years. Could you imagine a Valentine’s, New Year, St Patrick Day, or 4th of July party centered around cannabis versus booze? Which of the two sound more appealing to you?